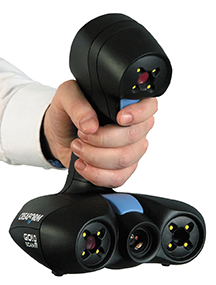 Thanks to its increased resolution, the Go!SCAN 20 is perfectly suited for scanning small parts with intricate details. Professionnal-grade measurements: accuracy of up to 0.1 mm (0.004 in.) and resolution of up to 0.2 mm (0.008 in. ).